About a year ago, I posted a couple of articles on my personal blog detailing the differences between Arduino Starter Kits that could be found online. A lot of people liked it and I received a whole host of requests to keep it updated and add more kits. After lots of work and a lot of long days, I’ve finally got something that I think will be a real help: The Arduino Starter Kit Comparison Chart. This chart version of the articles is a table-ized version of the kits, their components, explanations of (most) components, and short reviews for each kit. I’ve tried to make it as practical and easy to use as possible. Let’s face it: There are a lot of prototyping shields out there for your Arduino. Why add one to the mix? Well, we saw a need. When you’re working with your Arduino, you get in pretty deep before you have the need to actually build a custom setup on a shield. At that point, you might even ask yourself why you’re not making a custom shield. 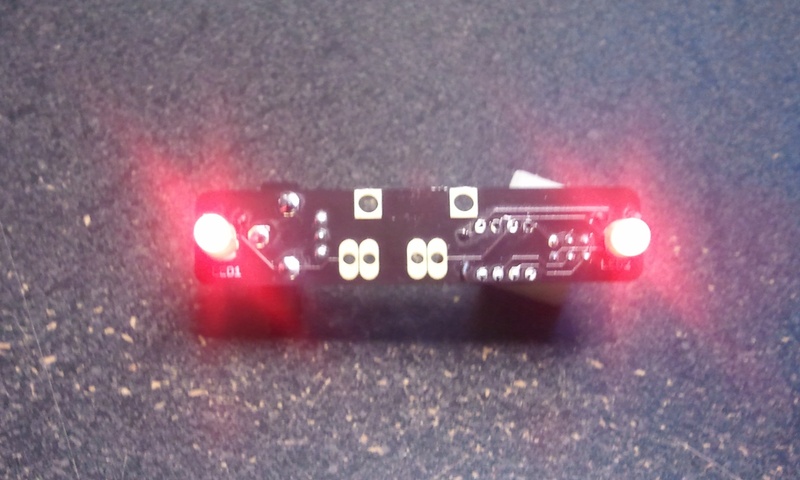 Sometimes you need something that will let you plug in some sensors, motors, a custom breadboard circuit, whatever it may be, without soldering your component away permanently. We know, because we wanted the same thing. Our shield is designed to let you do that. It allows access to all the pins on the Arduino directly through screw-in terminal blocks. There is also header space to break out 11 digital pins for servo (or other actuator) controls. The remaining space on the shield contains a number of solderable vias, and a matched set of Vcc and Gnd rails to get power to whatever you stick there. The rails can be powered either by the Arduino 5v supply, or a secondary supply connected directly to the board. Assembly instructions are listed in the Tutorials section. After a lot of work tuning the firmware and building a site for it, we’re finally ready to sell our first product: EerieEyes. EerieEyes is a fairly simple circuit that, when turned on and put in the dark provides an eerie pair of eyes staring out from the darkness. We’re certainly not the first people to have this idea, but we’re pretty sure that we’re the first to build one on an AVR, and offer it up open source/open hardware. We hope to be able to expand the firmware available here. Right now, EerieEyes blinks, and if you connect a Peizo or Vibrating motor up to the extension pads, it’ll buzz. There’s an ISP header available for onboard programming, and it also provides a breakout for all 5 GPIO pins. I didn’t mean for this site to start out as rough as it is, but I had a time-table. A couple of weeks ago a friend and I started working on a halloween project that moved from being a fun idea to being a full-blown kit that people could assemble. Although I’ve done quite a lot on AaronEiche.com, I wanted to get started on providing services and products on a dedicated site. Thus, ConductiveResistance.com is born. So, as I just said ConductiveResistance is intended as a way for me to host information and sell products, etc. While I don’t expect to attain the heights of Adafruit or SparkFun by the end of the week, I hope that having this site will serve as a good resource for the community.In a day or two I should have a tutorial and a kit available. Check back soon!